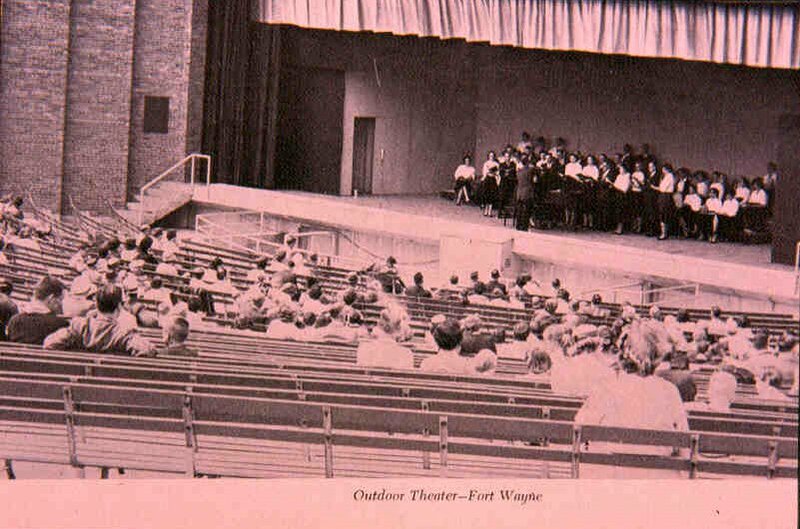 The Foellinger Theatre in Franke Park was constructed in 1949 as a gift to the community from Helene Foellinger in memory of her father, Oscar G. Foellinger, former publisher of the Fort Wayne News Sentinel. The Theatre was to provide a unique type of entertainment space - an informal, open-air community gathering and performing area, molded into a grassy hillside in the park. For many years, the Foellinger Theatre provided a large performance stage in Fort Wayne, while most of the central city movie houses (former Vaudeville theatres) fell victim to the growing acceptance of television. A fire in the early 1970s provided an opportunity to make major improvements to the theatre and in 1976, the present open-sided dome and a new stage house were added through the generosity of the Foellinger Foundation. The theatre currently seats 2,751 fans. Recently over 50,000 people attended concerts, movies and other functions held yearly at the Theatre. Over sixty years after the curtains first opened, Fort Wayne families are still enjoying the thrill of live performance under a starry summer sky. We think Miss Foellinger would be pleased. 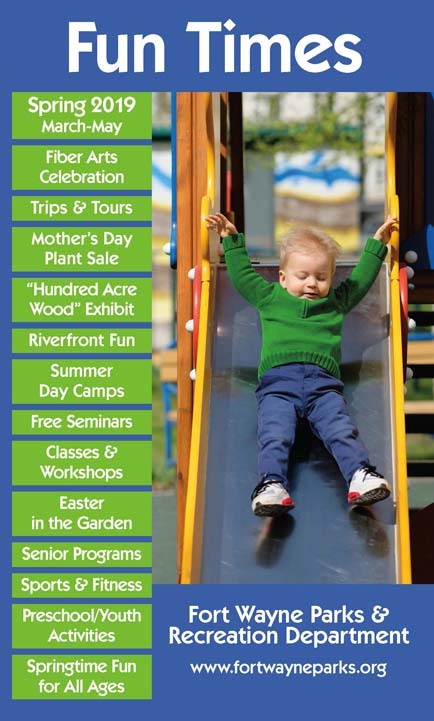 Foellinger Outdoor Theatre is located in Franke Park next to the Children's Zoo on Sherman Boulevard. For out of town visitors, if coming in from I-69, you can access the theatre by exiting at 309 A (930/Coliseum Blvd.) Once you exit, stay in a lane going straight at the intersection of Goshen/Coliseum Blvd. and remain on Goshen Avenue until you reach Sherman Blvd. 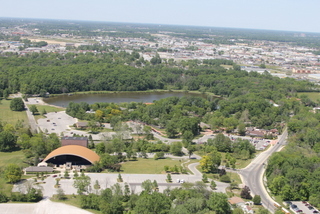 Turn left on to Sherman and the Theatre will be on your left hand side before you reach the Fort Wayne Children's Zoo. For more information, please call the Theatre Manager at (260) 427-6018 or the Parks and Recreation Department at (260) 427-6000. Mr. Moll, my wife and I attended the Divapalooza concert last Saturday. I have to tell you what a surprise those ladies were. They were WONDERFUL and their band was INCREDIBLE! What a talented bunch of people. If you have them back next year, I can assure you I will bring 10 friends. I have seen many concerts at the theatre. This one was a joy because it was so unexpectedly good. great also, but I expected that. We just had to write to say thank you again for another wonderful concert in Fort Wayne. We are from Maumee and attended the Peter Noone concert. We enjoyed a wonderful show and your new ticket arrangement was great. When we got home, we decided to purchase Hotel California tickets and we already have the Letterman tickets. If you were closer, we would attend more. Your web site makes it easy to purchase exactly the seats we want. The tickets arrived in the mail within 3 days. But most of all, the atmosphere and the staff are terrific. Thanks for providing such a fantastic evening! We are looking forward to our next 2 events! I just wanted to say that your concerts at Foellinger Theatre this past summer was terrific. We went to almost every one. They were all great. The group "Hotel California" was so good that when I hear an Eagles song I think of them. I hope you have more concerts in 2011 that are just as good. And I love the Lettermen. My husband wasn't sure if he would like going to see them, but we have gone 3 times now. Everyone did such a great job lining up the concerts. You guys all need a big pat on the back. Cheri C.
The Lettermen concert was fantastic. First time I had been to the Theatre and I will definitely go back again...excellent venue. Jean G.
This was the first time attending one of your outdoor concerts. We absolutely loved the place and the Lettermen concert. Thank you, too, for your quick e-mail response last week. We are from Maumee and will certainly return to more of your events. Thanks, again, for the wonderful time we had. JoEllen S.The Summer Concerts are GREAT & we (from the 60"s) really enjoy them. Would love to see THE ASSOCIATION sometime if that would ever be possible. Keep up the awesome job!!!!!!!!!! Tom M.
Just wanted to tell you how much we enjoyed the Hotel California concert a couple weeks ago. We have told all our friends who didn’t go what a great concert they missed. We hope you will have them back again. We have tickets for the Bluz Brothers concert tonight and the Guess Who in September and are looking forward to both of them. Thank you so much for the excellent concerts this summer. Since “oldies” music seems to be very popular, we would like to recommend the band “Phil Dirt and the Dozers”. We enjoy them very much and think others would also. We have driven to other cities to see them perform. Sharon and Ed D.
My husband and I attended the Foellinger Theatre for the first time last evening and loved the venue and The Music of ABBA! Mrs. Dave C.
Three cheers for bringing Hotel California to FW!!!! They were phenominal and kept the place rocking from start to finish. Please bring them back again! Best concert I've been to in ages!!!!!!! Karyl B.